PALM HARBOR, Fla. -- Of the four courses at Innisbrook Golf and Spa Resort, the Island Course might be the toughest, the South Course is the trickiest, and the North Course is a fine course but not nearly as tough as the others. Innisbrook resort's Copperhead holds its own against any golf course on the PGA Tour. The famed Copperhead Course is the crowned jewel of the 72-holes on the Innisbrook Resort property. The difficulty doesn't stop with elevation changes and pine tree-lined fairways. 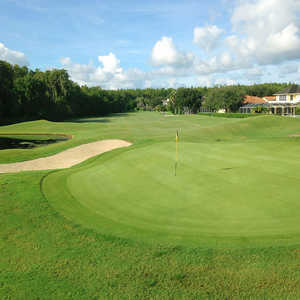 The golf course is muscular and open, playing more than 7,200 yards from the back tees. 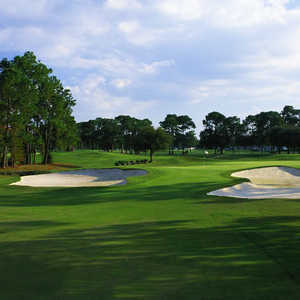 But it's Innisbrook's Copperhead Course that is the most well known. That's where the PGA Tour hosts the Transitions Championship as part of the Florida Swing every March, and the highlight of a great week of golf at the resort, which, because of its five restaurants and transportation throughout the resort, means you never have to leave. All of the courses -- which are in excellent shape -- are challenging at Innisbrook, but Copperhead can be a monster. Copperhead, designed by Larry Packard, has been a staple in Tampa Bay-area golf since 1972. It plays to 7,340 yards from the tips, and it's the longest of the Innisbrook courses. It has received rave reviews from some of the top players in golf. "If I could only play one course the rest of my life, it would be Copperhead," Curtis Strange said. "It has that much character." "Copperhead is the best course we play on the tour," Paul Azinger added. 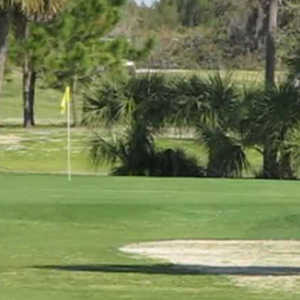 Copperhead deserves its reputation and is a must-play course for anyone traveling to Tampa. Although the four courses at the resort -- along with its six nationally renowned golf institutes -- can make it difficult to leave Innisbrook, there are plenty of other courses nearby for anyone looking for a getaway. But that really is not necessary. Copperhead starts tough and doesn't get much easier. The opening hole is a 500-yard par 5 with a tight landing area featuring sand to the left and trees to the right. It's almost impossible to cut off enough to go for the green in two, but the brave will have to deal with water and a bunker to the right of the green. Get a par or bogey and move along. The third is a tricky 455-yard par 4 with water running down both sides of the dogleg right and traps surrounding the green. Like most of the holes at Copperhead, the fairways are extremely tight. The length may make it appealing to bring out the driver, but hitting it straight and curving your shots is vital at Copperhead. No. 5, a 605-yard par 5, is one of the longest in Tampa Bay and the No. 1 handicap hole at Copperhead. It requires a long carry over water from the tee, then trees everywhere leading to a small green with bunkers on both sides. With a dogleg left, only a massive drive makes it possible to get close in two. Play it safe. The back nine is a lot shorter, but it still has bite. The 14th is a long par 5 at 590 yards, and to even consider reaching in two requires a right-to-left bomb off the tee and a left-to-right approach to avoid the water that fronts the right side of the green. Only the best can reach any of the par 5s at the Copperhead in two, so unless you are playing in the Transitions Championship, don't even think about it. Two holes later comes the longest par 4 on the course, the 475-yard 16th. It is a severe dogleg right, and cutting anything off is tough because there is water all the way down the right side. There's a reasonably generous landing area, but it still requires about 200 yards over water and through a tunnel of trees to reach the small green. It's tough, but the amenities are great and people come back every year to test the four courses -- and Copperhead is usually the highlight. "It's just fun to play where the pros play," said Frank Dormandy of Houston. "They treat us great, the course is in great shape, but Copperhead might be my favorite course anywhere." The Copperhead Course is long and tight and extremely hard. There are no breaks. A lot of people think Innisbrook's Island Course is the hardest at the resort, but the Copperhead holds its own against any course on the PGA Tour. Spend a week at Innisbrook and you'll never have to start your car.